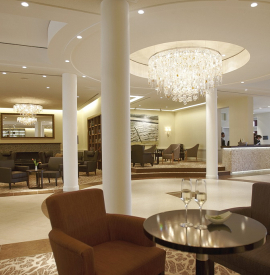 Discover the magic of hospitality with the Upstalsboom Hotelresidenz & Spa Kuehlungsborn and enjoy all the amenities of a modern hotel business. Fine luxury, gastronomy on the highest level and wellness for all senses are joined in our house amidst the versatile nature at the Baltic Sea. Our elegantly furnished rooms and suites ensure a comfortable stay and restful sleep, all the while the top chefs create regional as well as international dishes in our two restaurants and the Wiener Café. Our Upstalsboom Hotelresidenz & Spa Kuehlungsborn offers 144 double rooms and 19 suites of up to 90 sqm, ensuring a restful holiday at the Baltic Sea. The spacious room layout, up to four cozy balconies, extra large beds, flat screen TV for HD film enjoyment and the free WLAN provide elegant luxury and modern comfort in a maritime ambiance. There are 27 hypoallergenic and 2 handicapped accessible rooms. Dogs are allowed in one suite and seven Double Rooms Deluxe facing park side. We garuantee the rooms on departure day until 12 pm. 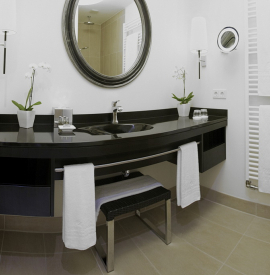 Upstalsboom Hotelresidenz & Spa Kuehlungsborn is a fine address for your exclusive wellness holiday at the Baltic Sea. 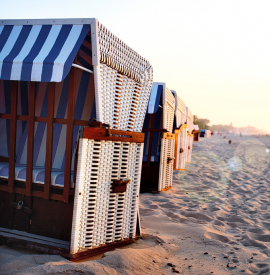 Since its opening in April 2011, the four-star superior hotel presents itself as an outstanding center directly on the Ostseeallee and is only a few meters away from the sandy beach. Our hotel also offers a quiet location with a view of the well maintained park of the adjoining urban woods, the „green lungs“ of Kuehlungsborn. Take a break in this tranquil area and breathe in the healing air.